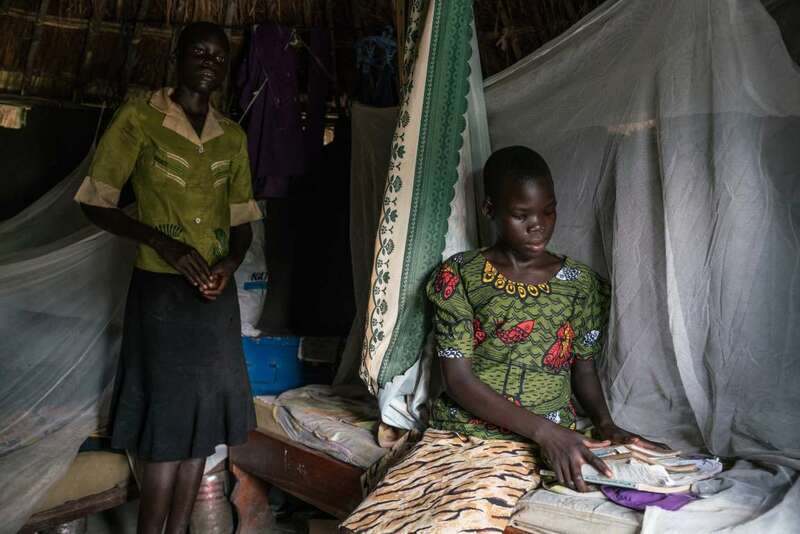 Josephine Bako, 13, was adopted by her aunt, Queen Chandia, after her parents died in South Sudan. 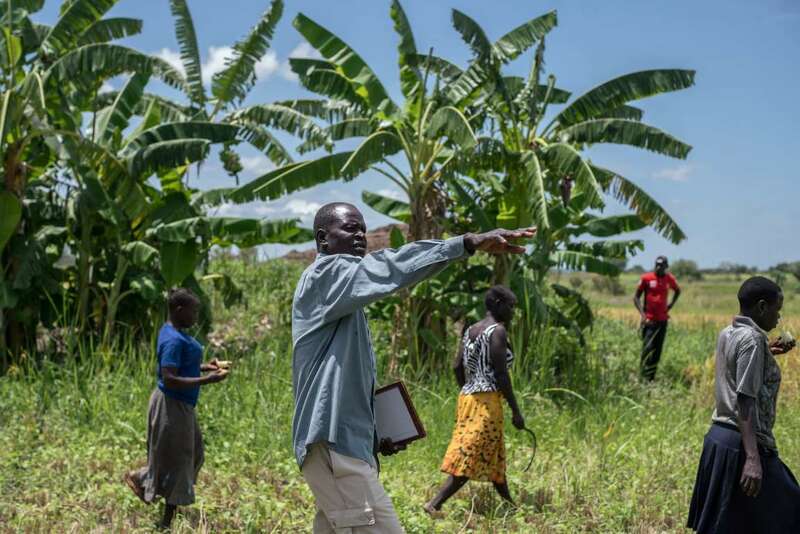 Samuel Lagu set aside five acres in Mireyi for a rice venture in which South Sudanese refugees and Ugandans work side by side. 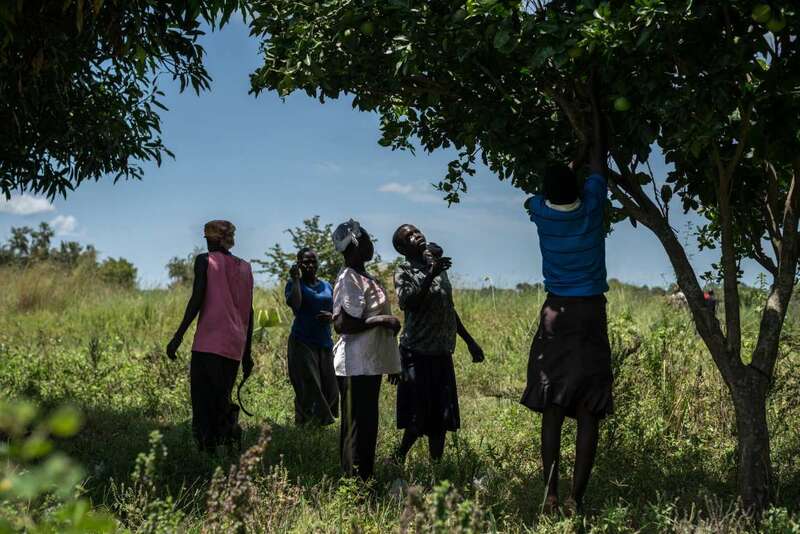 South Sudanese refugees and Ugandans gathering fruit after working in the fields in Mireyi, Uganda. 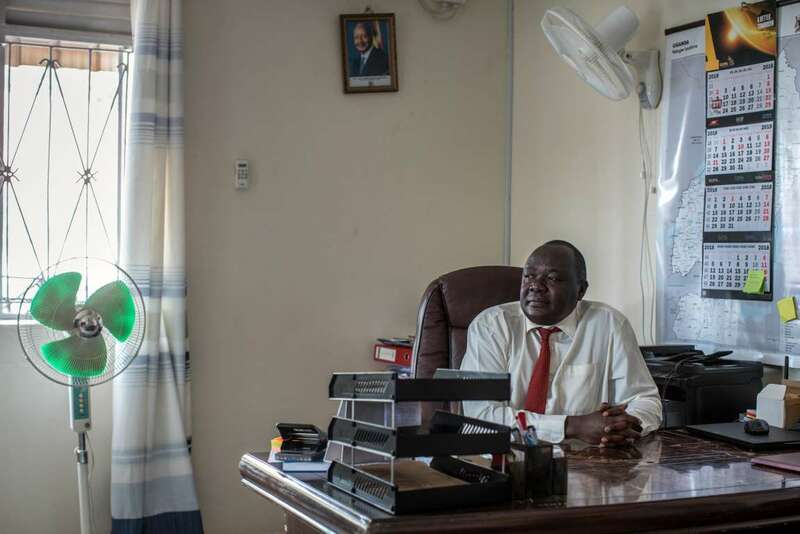 Solomon Osakan, a government official who manages refugee issues, worries about maintaining harmony between migrants and host communities. 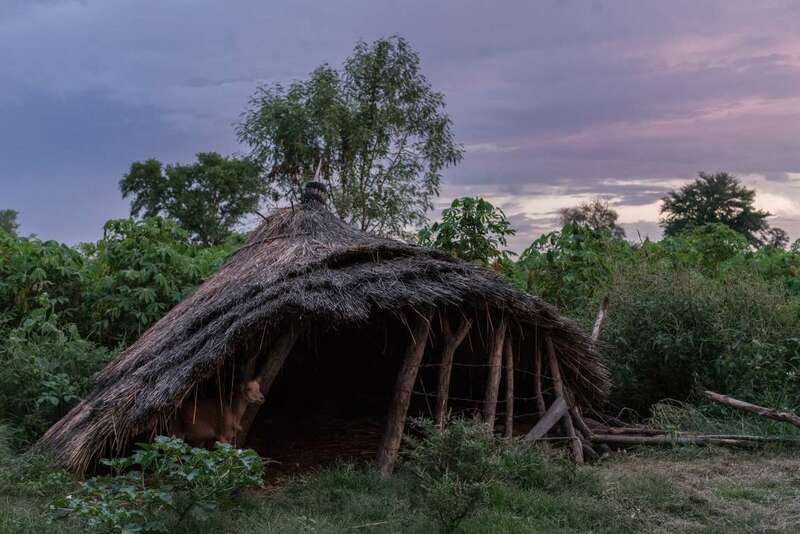 A goat shelter on the land being used by Queen Chandia. She said the donated land has made all the difference. 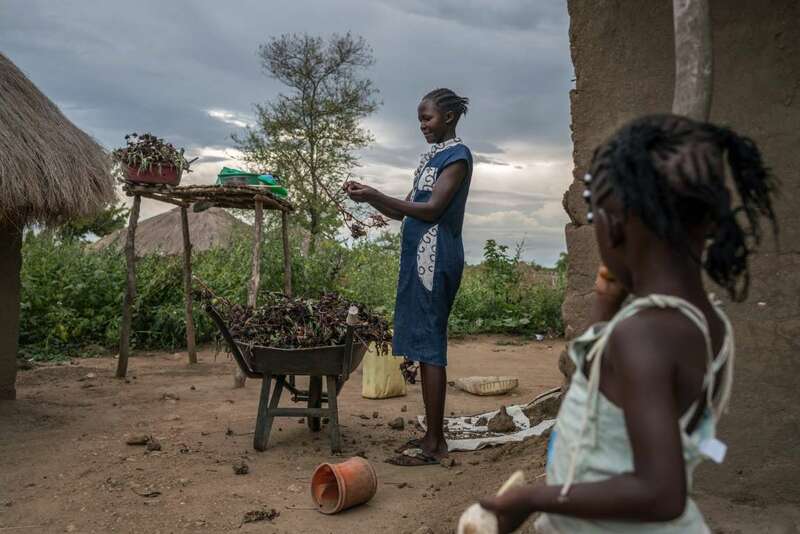 Agnes Ajonye gathered hibiscus leaves for tea in a settlement in Ofua in northwestern Uganda. 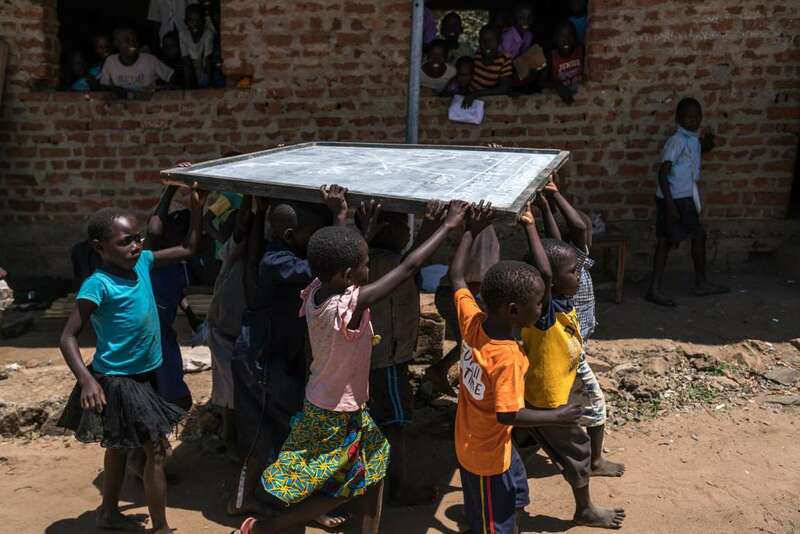 Students carrying a blackboard outside Imvepi Primary School. 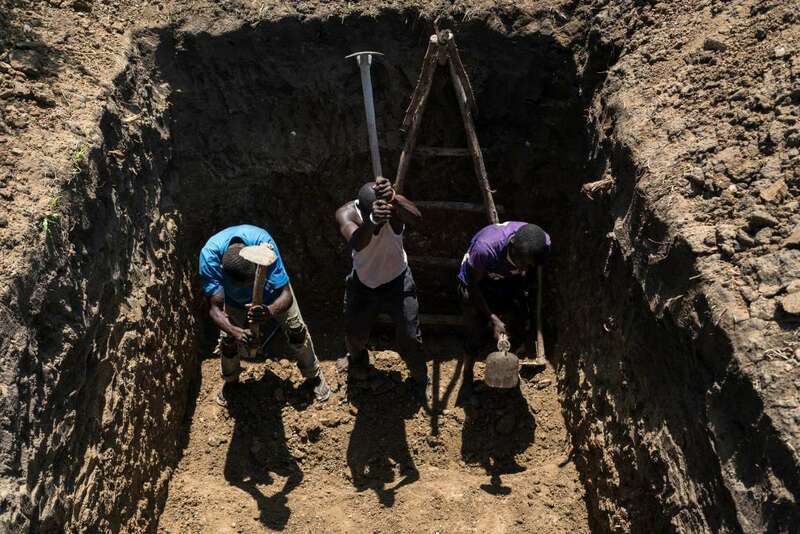 A crew building the foundation for a nursery school in Imvepi, Uganda. The government ensures that spending on refugees benefits Ugandans as well. But his star has fallen considerably. He has clung to power for decades. Security forces have beaten political opponents. Freedom of assembly and expression are severely curtailed. Even so, Uganda’s openness toward refugees makes Mr. Museveni important to European nations, which are uneasy at the prospect of more than a million refugees pulling up stakes and heading for Europe. 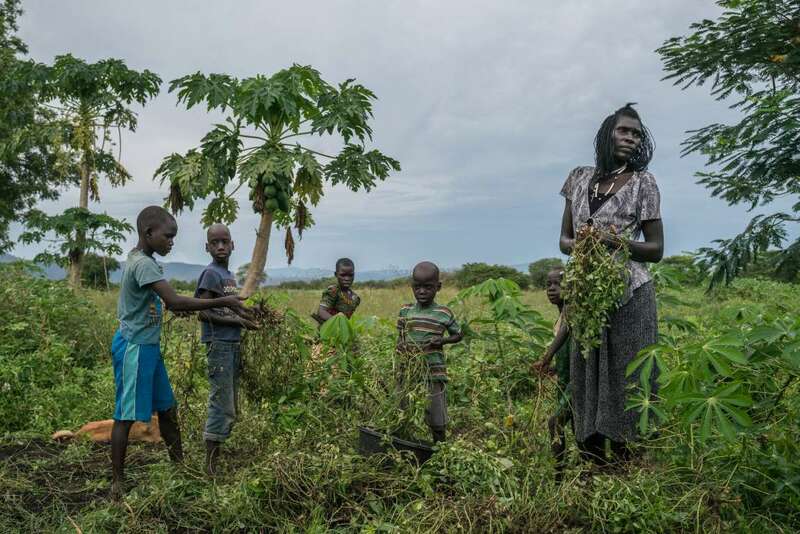 Queen Chandia, a South Sudanese refugee who cares for 22 children, harvesting land in Uganda that has been loaned to her by local residents. At the construction site, the general contractor, Sam Omongo, 50, said he had hired refugees for the job. “Oh yes,” he exclaimed.